Imagine you're a girl - just a normal girl - with six crazy best friends. And they're all dudes. Your birthday would definitely be something memorable as the guys try their best to get you the best present ever (and of course they'll try to outdo each other's gift). So today, imagine it's your birthday, imagine you're a girl celebrating her birthday with her six best friends - and imagine those best friends are Exo-M.
You: *Looks at cupcakes* Let me guess, there was supposed to be a whole cake but Tao ate it. Tao: I thought we said we'd keep that a secret! Look, I promise we're gonna go get cakes tomorrow, just the two of us. I'm buying, I swear. You: You're gonna troll me again, I just know it. I am so not gonna accept anything from you. Chen: Fine, your lost *happy smile*. 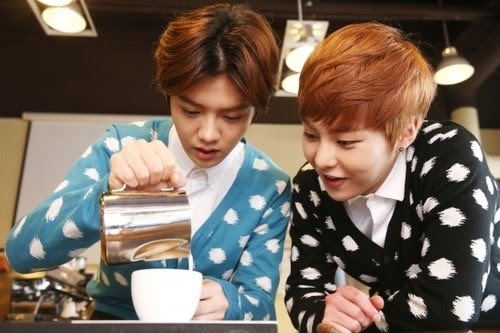 Luhan: Yup, you know how we got that job at the coffee house? Well, you drop by anytime with those coupons and we'll make you the best coffee in the world~~ Xiumin will throw in some free steamed buns too. You: See, this is how you give gifts. Kris: I don't think she's ever forgiving you for that spider in the box trick you did last year. You: Omygawd, you forgot my birthday! 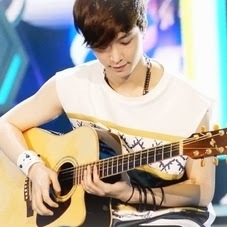 Xiumin: No, I saw Lay with his guitar yesterday, I think that has something to do with your gift. Lay? Lay: Oh yeah, thanks for reminding me hyung. You: My nickname for you is totally appropriate, you're forgetful but still as adorable as a freakin' unicorn. Well, Forgetful Unicorn, what's my gift? Lay: Well, I did go with Tao to get you something. But he took too long inside the Gucci store, so I left him and wandered around and lost track of time. By the time I remembered what I was supposed to do, most shops were closed. So I came home and wrote you a song instead. Chen: You dream big, gull. You: Right...Tao only buys Gucci if Kris is there to buy him things. Tao: I'm right here *glares*. Lay: I've recorded the track for you, you'll find the mp3 file in your email. You: *squeezes unicorn* Okay, who's next? Kris: Here *confidently hands you your gift*. You: Uh...if this is supposed to be me, I think I'm offended. 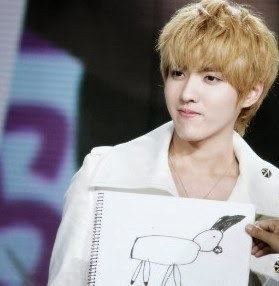 Kris: That's a picture of Twinkle, your Maltese puppy. You: Kris, if this really how you think my cute fluffy white cloud of a puppy looks like - you need an eye check. Kris: *proud* I am Kriscasso. And that is one my finest masterpiece. You: *giggles* Thank you, Kriscasso. Thanks for framing it beautifully too. I'll hang this somewhere Twinkle can see it. Chen: That means she's only keeping the frame. Tao: Expect to see the drawing lining Twinkle's sleeping basket. You: Tao? Don't tell me the cakes we're getting tomorrow is my gift. That doesn't count. 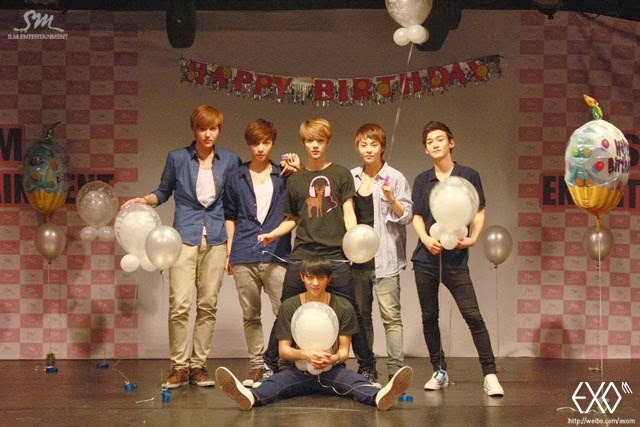 Tao: Dammit, it totally would've if I didn't eat your cake for today, huh? Tao: Chen, you go first. Chen: I promise it's nothing stupid. I'm more mature now, you know. You: *reluctantly accepts gift* Oh, movie tickets? You: For Spiders 3D. Gee, thanks you troll. Chen: Merong! Man I love giving gifts. You: Looks like I'm saving a lot of money this year. Since I'll only be buying gifts for Lay, Luhan and Xiumin. You: I'll make you something. Tao: She cooks like the worst fried rice ever, I think that's gonna be your gift. Tao: But I'm giving you the best gift ever! You: Don't say a trip to the zoo. Tao: Now you're screwed, camel! Chen: *pulls out tickets from pocket* This is your real gift. Those Spiders ones aren't even real tickets if you noticed. You: *peers closely* You're right! Lay: ... Wait, have I given my gift?